Sea to Summit Pocket Shampoo with Conditioner. 50 leaves. 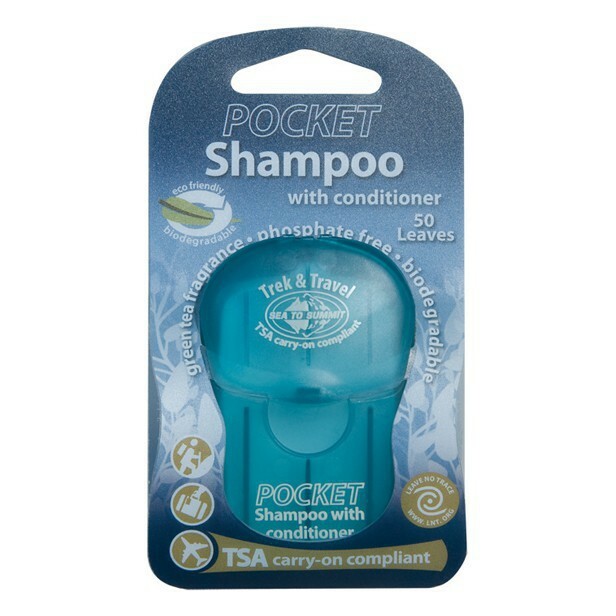 Sea to Summit Pocket Shampoo with Conditioner. 50 leaves. Green tea fragrance. Ideal for travelling and camping. Compact, lightweight and dry. Environment friendly. Complies with airline carry-on.